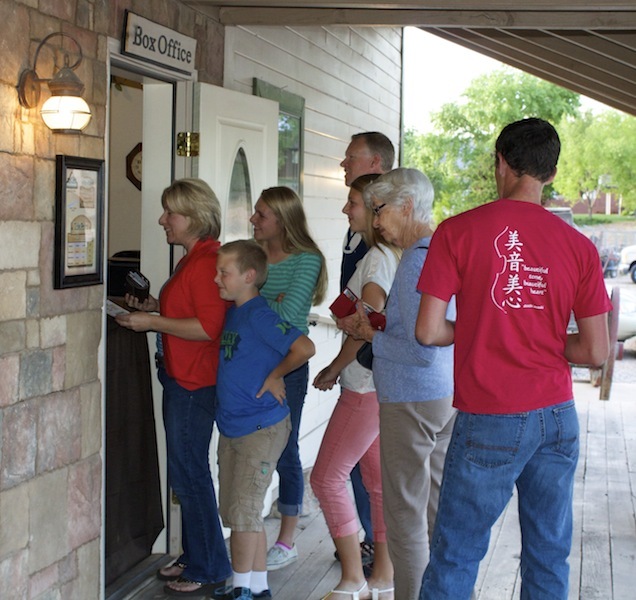 WASHINGTON CITY – Imagination is what theatre is all about and what co-owners Jamie Young and Doug Knapp brought to Utah’s Dixie this year when they founded Brigham’s Playhouse, a theatre for the community located at 25 N. 300 W., Building C1, in Washington City. It is a place of interaction, education and inspiration. Imagine a place in the desert that provides live theatre year-round. Imagine yourself sitting in a quaint theatre where the actors are also the ticket sellers, ticket takers and concessionaires, interacting with their guests “in character.” Imagine an intimate theatre where the audience is drawn into the activity on the stage and can vicariously feel what the performers are feeling throughout the production. This is what Brigham’s Playhouse co-owner Jamie Young imagined and has been dreaming of for over 20 years. “We are not a community theater, but a theater for the community,” Jamie Young said. Jamie Young and his co-owner Doug Knapp, employ a combination of professional actors working with community actors to provide a high quality, professional performance in every show. Jamie Young was a professor of theatre for 19 years, and the head of the department at Western Wyoming College. 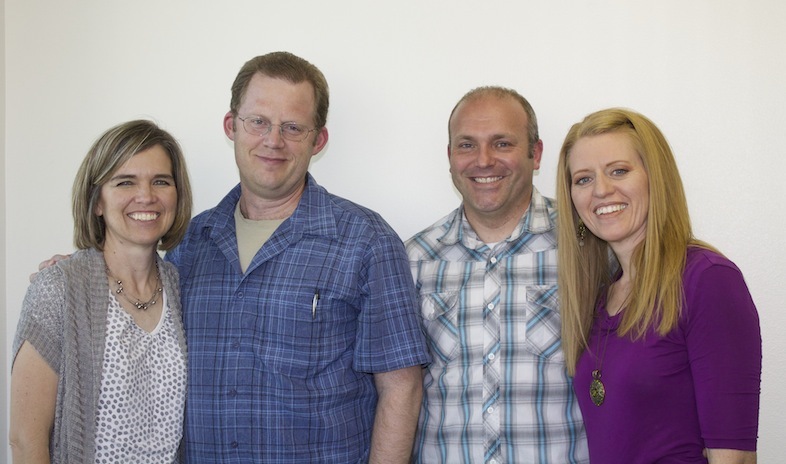 Doug Knapp was on the faculty for music and musical theater at Western Wyoming College. Most actors at the Playhouse are former students or professionals that Jamie Young has worked with before. Community actors audition for parts and have the opportunity to work with professional actors and a director that has a wealth of experience he wants to share with them. His passion for the theater mixed with his love of teaching are a great combination, Jamie Young said. “We are in this business to change lives,” he said. Cast members have expressed how much the experience of performing at Brigham’s Playhouse has changed their lives. This brings great satisfaction to the owners. The theatre holds 230 guests comfortably and provides for an intimate night of theatre enjoyment. 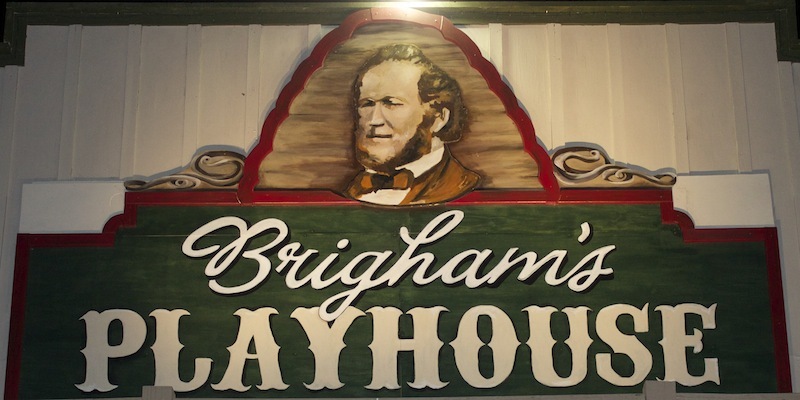 Since Brigham’s Playhouse is a year-round theatre, the actors are kept very busy. While they are performing one play in the evening, they are rehearsing another one during the day. 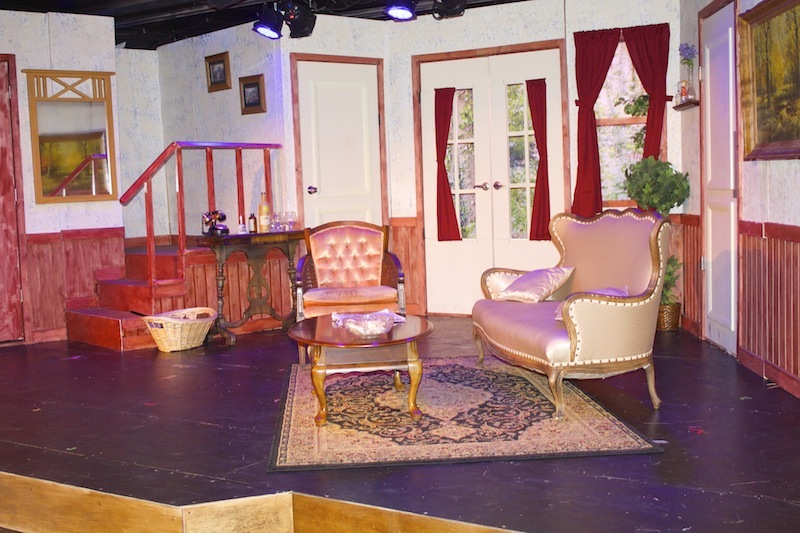 When they are not acting or rehearsing, they are designing and building sets, designing and making costumes or memorizing their lines for upcoming productions. Jamie Young’s dream doesn’t stop with Brigham’s Playhouse. 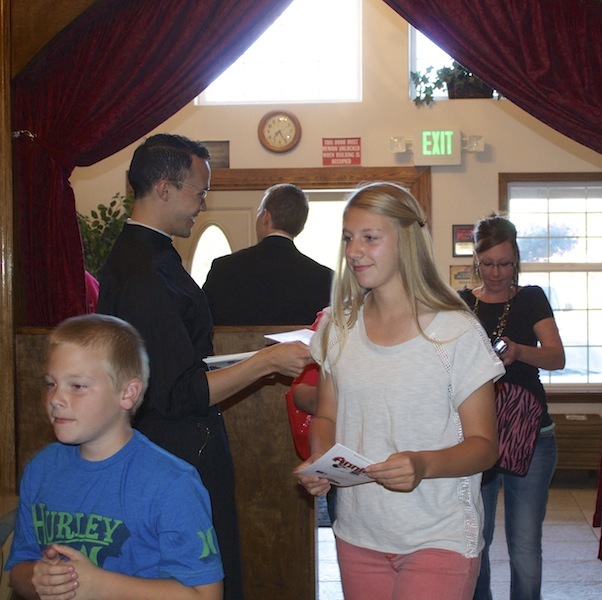 “The St. George area is an arts-rich community,” he said. “I hope to work with other theatres. I would like St. George to become another Branson,” noting that more people travel to Branson, Mo., which is known for its rich theatre venue, than they do to Hawaii every year. 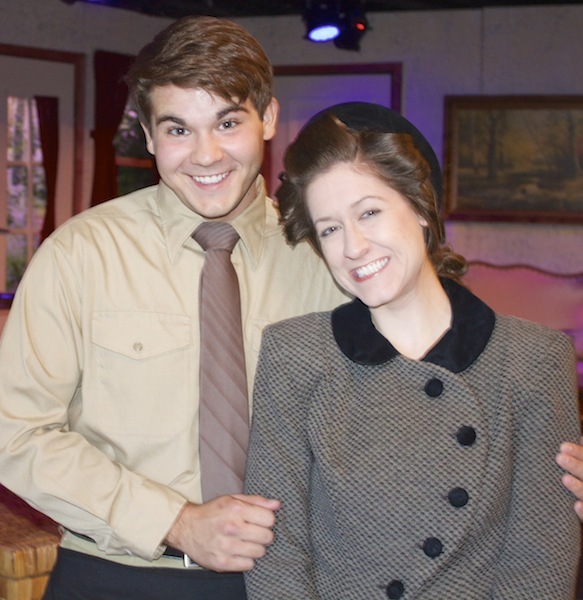 Doug Knapp and Jamie Young have long-range dreams that include other theater venues in the same location as Brigham’s Playhouse, in the Cottontown Village, but that is a dream in the making. The focus now is to insure that guests of Brigham’s Playhouse are provided with the best performance money can buy every time the curtain rises. Brigham’s Playhouse is a family affair. 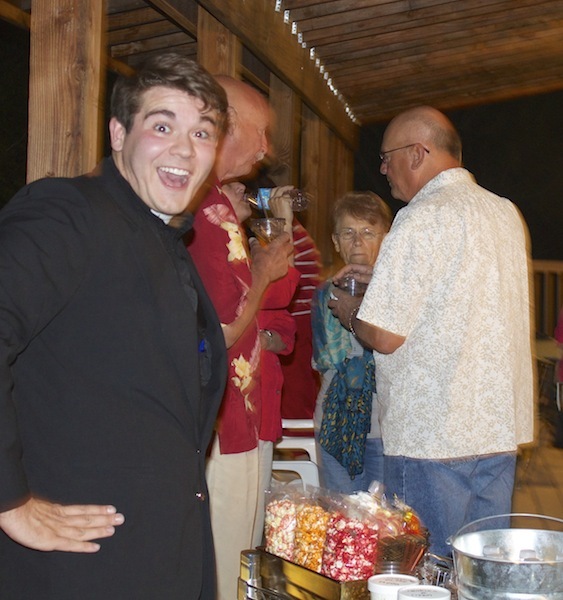 Knapp and Young, along with their wives, Mary Knapp and Kari Young, respectively, work together to make sure they meet the expectations of their guests. Recreation and diversion are as necessary to our well being as the more serious pursuits of life. 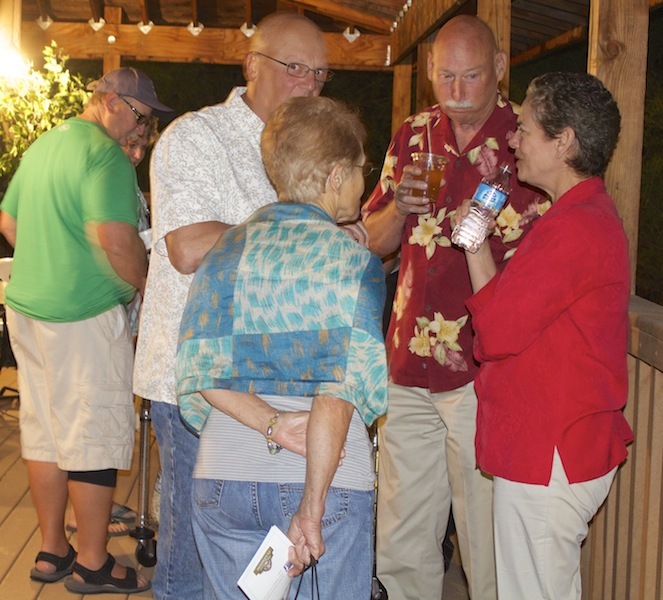 It’s that recreation and diversion that the Youngs and the Knapps are offering to residents of Washington County every Tuesday through Saturday night and Saturday afternoon. Brigham’s Playhouse is a place for families. There is special ticket pricing available for families (ages 5 and older), and there are also group discounts. Brigham’s Playhouse promises to provided an uplifting experience for every audience. 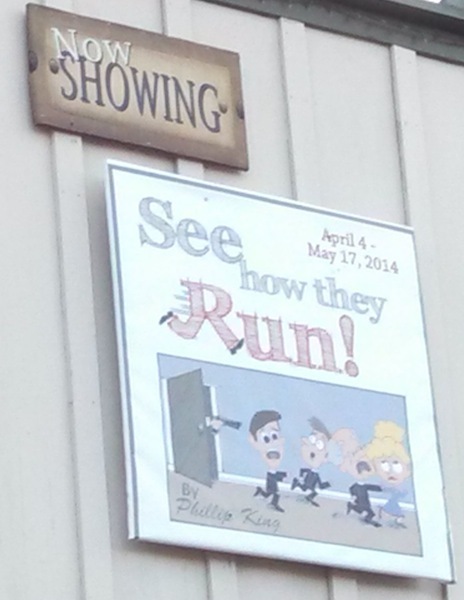 “See How They Run” plays through May 17, and is a family-friendly, fast-moving, action-packed performance with many cases of mistaken identity and misunderstandings. 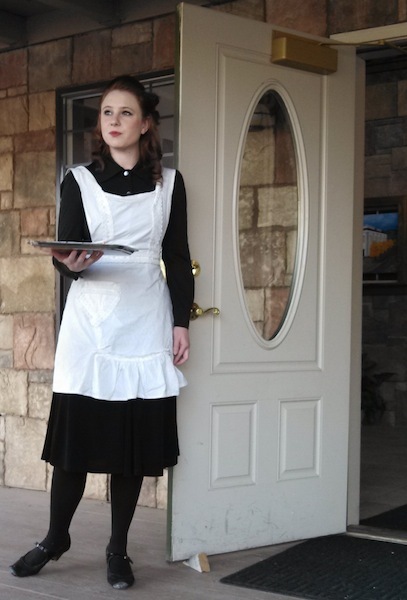 Characters in “See How They Run” include a spunky cockney maid, a nosey busy body from the church, an escaped Russian spy, and a young man in the army just looking to spend a fun evening with an old friend – an old friend who happens to be the vicar’s wife. It takes place in a London vicarage. The Playhouse will offer “Annie” starting on May 23, followed by the “Sound of Music,” “Peter Pan,” “First Freedom” and “It’s a Wonderful Life,” to round out the year. Auditions will be held throughout the year for each play, and audition information can be found on their website. 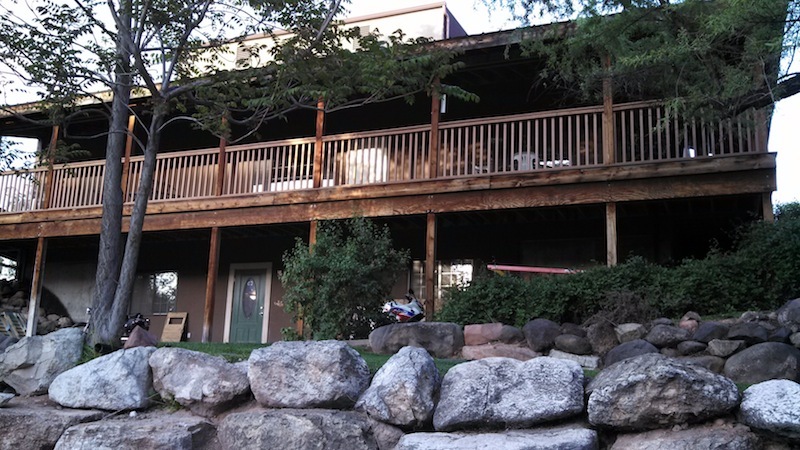 Imagine you and your spouse looking for someplace to spend a fun evening together. Imagine having family coming in to town and wanting to take them someplace where everyone will have a good time. Imagine wanting to impress your date with a fun evening out. There’s no need to imagine anymore. 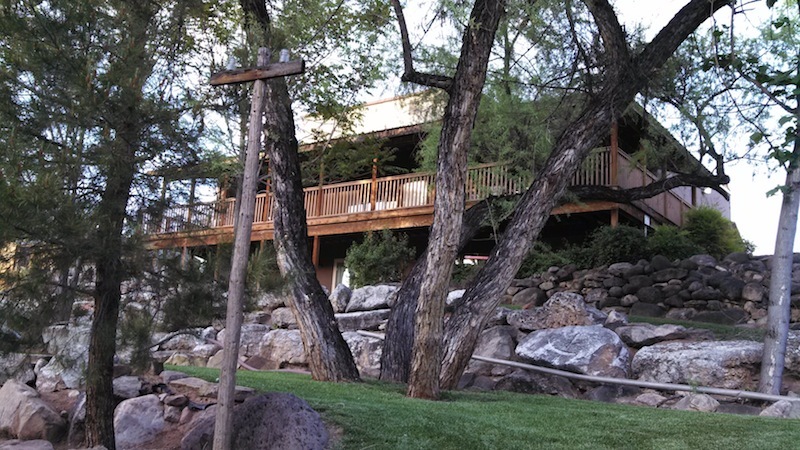 Brigham’s Playhouse will provide you with the “recreation and diversion” you need all year long. Brigham Young was a great supporter of the arts, Jamie Young said. Washington, Utah, April 15, 2014 | Photo by Rhonda Tommer, St. George News. I would have a hard time feeling “uplifted” in a place that’s named in honor of such a vile, hateful person who treated his fellow human beings (other than members of his own clique) so poorly. Bring em Young kept him uplifted. We attended Little Women a couple of months ago at this Playhouse. We had a wonderful time, the acting was good, staging was amazing given the space available. We really enjoyed the interaction before and after with the cast. We received a short tour by Mr. Young as we were early, the venue and setting were great. We will be back, with friends and family.